Although the majority of political races concluded with the general election earlier this month, San Marcos’ election season has extended to Dec. 11 in two runoff races for City Council places 4— between Shane Scott and Mark Rockeymore—and 5—between Rick Henderson and Joca Marquez. Presidential, gubernatorial and senatorial races can become heated and bring out the worst in voters, organizers and candidates. Local elections are not exempt from this pitfall. The place 5 runoff has been exceptionally contentious between the two candidate camps, replete with accusations—both baseless and legitimate—namecalling and everything to be expected from classic political mudslinging. This is not a unique indictment of contemporary times. Mudslinging has been a component of American elections since John Adams and Thomas Jefferson. Even earlier accounts existed in classical Athens and the Roman republic. However, its place in history does not excuse its practice today and certainly does not welcome it in San Marcos elections. 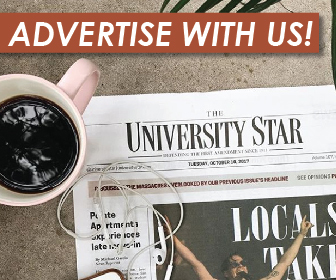 To avoid any degradation to the institution of a free and responsible press, The University Star will not condone, encourage or participate in the mudslinging practice in this election or any other election in the city of San Marcos, Hays County or other comparable races. Our reporting focus is limited to criminal charges and unethical practices by candidates in previous offices they’ve held. At press time, no criminal charges of any kind have been levied against anyone on the ballot for the runoff election. As for unethical practices in previous public offices, The Star is open to new information, but such information has not crossed the editor’s desk. Local government is easier to report on with impartiality compared to other races. In the state of Texas, all municipal elections are nonpartisan. Candidates may receive the backing of political parties and institutions, but they are in theory, running on their name and platform alone. This makes it harder for lines to be drawn between previous biases but even when this fails, objectivity can still reign supreme. There is nothing wrong with infusing passion with this election. The makeup of the City Council after the runoff will affect each and every San Marcos resident, including students, faculty and staff at Texas State University. Our city’s local policy on the environment, economy, transportation and more is all at stake, regardless of which way a voter falls on the issues. Voters should feel the need to rush to the polls again, even if the gubernatorial and senatorial race has ended in Texas. It is unfortunate this runoff’s passions have negatively impacted the families of both candidates. It’s unfortunate that this is the connotation voters will remember about this election. It’s unbecoming of San Marcos to be the battleground for such a standard. It is with the best intentions that the remainder of the election can be conducted with civility and grace for the sake of this city’s residents and their children who need a little bit of good news and reassurance that no matter how this election ends, the City Council will work with the people in mind. And whoever emerges as the winner in either race, The Star welcomes a healthy, working relationship between local government and the press befitting an open society.